The Bowdoin Review Power to the People: Can Michigan Crack the Redistricting Code? Power to the People: Can Michigan Crack the Redistricting Code? On November 8, 2016, Michigan voters lined up to cast their ballots. They lined up from Detroit to Kalamazoo and from Marquette to Adrian—the last chapter in a spectacle of a presidential campaign that had seized the nation’s attention. Some watched in horror as the numbers started to come in, others with cautious optimism. When the dust settled, Donald Trump had won the Michigan vote by two tenths of one percent. It was one triumph in a string of unexpected victories for Trump across the Midwest that ultimately propelled him to the White House. But other electoral battles had been won and lost in Michigan that day. The fight for the state legislature and the U.S. House of Representatives revealed not only severe partisan division, but a symptom of a greater illness in American democracy. When the results of the Michigan house races were fully tallied, statewide vote totals amounted to a near-even split between Democrats and Republicans. The GOP had edged out the Democrats by less than one tenth of one percent. But Republicans took home sixty-three seats to the Democrats’ forty-seven—a victory margin of fourteen percent. The results of congressional elections were just as stark. While Democrats won forty-seven percent of the vote to the Republicans’ forty-eight percent, they captured only five of the fourteen seats. These were some of the largest discrepancies between total votes and captured seats in the entire country. In a year when Michigan’s state and national races were tremendously competitive, Republicans were nonetheless able to secure a strong majority across the state. Many Democrats were irate. Their voices, they claimed, were being silenced. It was a refrain now commonplace in American politics: the system is rigged. Many see cases like Michigan’s as a direct result of partisan gerrymandering—a process in which state lawmakers draw the boundaries of state and federal legislative districts to serve purely political ends. In Democratic and Republican strongholds across the country, these lawmakers exert immense influence over the very process by which they are elected, warping the democratic system to ensure that they remain in power. They methodically carve up their states and reap the benefits for the next decade. The goal of the efficiency gap is to determine the magnitude of what Stephanopoulos and McGhee call “wasted” votes. These are either (a) votes cast for a losing candidate, or (b) surplus votes cast for a winning candidate. In order to change one’s vote from meaningful to “wasted,” politicians have used methods of dividing and conquering that are simply ingenious (see: “packing” and “cracking” strategies). They craft bizarrely-shaped districts that cut through communities and connect disparate interests in order to most effectively dilute the power of the opposition party. The result is that one party can capture a strong majority in the legislature even while the other wins the statewide popular vote, as Michigan Democrats learned in 2014. Calculating the efficiency gap is remarkably simple: divide the net number of “wasted” votes by the total number of votes cast. The result is intended to indicate the level of disparity between the will of the people and the will of the politicians that devised the electoral map. In the 2016 Michigan races for the state house, the efficiency gap was 10.3 percent—the third straight house election that resulted in a double-digit gap in favor of Republicans, according to the Associated Press. Few states have it worse. Despite Stephanopoulos and McGhee’s research, the question remains: does the efficiency gap tell us anything about whether partisan gerrymandering is unconstitutional? This metric of redistricting is at the center of a potentially monumental decision before the Supreme Court, Gill v. Whitford. The case revolves around the state of Wisconsin, where its efficiency gap has never been recorded higher than in recent elections for the legislature. After Republicans won control over both the state senate and assembly in 2010, they proposed a redistricting plan that attempted to enfeeble Democratic voting power and enlarge GOP control over the next ten years. But in 2016, a federal district court ruled the plan an unconstitutional gerrymander, citing the efficiency gap as its yardstick. The Supreme Court is now considering a handful of issues, including whether the efficiency gap is a viable standard for striking down statewide redistricting plans and whether claims of partisan gerrymandering are justiciable. But even if the Supreme Court is able to find a workable standard for throwing out unfair maps, it is highly unlikely that it will address the root of the problem: the district-drawing process itself. Thirty-seven states share Wisconsin’s model, which gives reapportionment power to the majority party in the state legislature. The Supreme Court will not alter this; extensive change must come from the states themselves. For this we must return to Michigan, where a grassroots organization thinks they have a solution. The group’s name is Voters Not Politicians (VNP), and its mission is simple: turn Michigan’s redistricting system on its head. VNP’s proposal is a radical one. Its goal is to completely replace Michigan’s reapportionment procedure through a statewide referendum that would amend the state constitution. Should Michigan voters approve the ballot initiative, VNP’s plan would transfer all redistricting powers2 currently vested in the legislature to a thirteen-person citizen commission. A small group of Michigan voters would control the process, preventing lawmakers from reinforcing partisan advantages and restoring a level of integrity to Michigan’s electoral system. As of late November, the petition has gathered over 350,000 signatures. The Secretary of State will then randomly select a group of two hundred people—one hundred from the open application, one hundred from the randomly selected applications—using a statistical model that, according to VNP’s website, “mirrors the geographic and demographic makeup of the state as closely as possible.” From this final pool, a thirteen-person commission made up of four Democrats, four Republicans, and five non-affiliated (or third-party) voters will be randomly selected. In California, the only state with an active citizen redistricting commission, chance does not play nearly as large of a role in the selection process. After the initial application phase, a three-member Applicant Review Panel from the state auditor’s office selects 120 of the most “qualified” candidates for the next round. The panel then conducts interviews with these applicants and selects sixty of the most “qualified” (by the panel’s standard) from that pool. In the Michigan proposal, this level of screening does not exist. The thirteen members need not have any experience in politics to serve on the commission. Then comes the difficult part: drawing the districts. A powerful objection to the VNP plan is that it merely exports the problems of gerrymandering to a smaller body; it sidesteps the party politics inherent to redistricting. The question is: how will the proposal prevent the citizen commission from devolving into the same old partisan power struggles? These guidelines eliminate the possibility of hyper-partisan gerrymandering. They identify and prohibit many of the strategies legislators have used in the past, thereby preventing the commission from arriving at the same politicized results. Although this curtails the power of each commissioner, the system prohibits those maps which are the most egregious in their partisanship. The rules limit the range of plans that the commission can produce, but they also aim at something close to fairness. Second, the approval process for each map ensures that the commission reaches decisions in a bipartisan (perhaps even non-partisan) fashion. While it only takes a simple majority to approve each map, that majority must contain at least two Democrats, two Republicans, and two of the non-affiliated/third-party commissioners.4 This model forces members of the commission to work across party lines and achieve consensus. As it stands today, the system in Michigan allows the majority party exclusive control over redistricting. That party can ignore all opposition and devise a map that will suit its political needs for the next decade—all with just a one-member majority in each chamber of the legislature at the time of reapportionment. Furthermore, the proposal includes various measures that keep the commission’s activity transparent and accountable to the public. All commission business must take place in open meetings, and all data must enter the public record. This provision prevents the secrecy that plagued Wisconsin, in which GOP lawmakers held secret meetings to determine which map would maximize their advantage. A federal district court criticized the Republicans for “flailing wildly in a desperate attempt to hide from both the Court and the public the true nature of exactly what transpired in the redistricting process.” Such flailing would be impossible under the Michigan proposal, as the commission is required to hold at least five public hearings for each proposed plan. Finally, after adopting a proposal, the commission must publish a report that explains its reasoning. The report must detail the commission’s decision-making process, which the state supreme court then confirms is pursuant to the rules for drawing the maps. Sixty days later, the plan becomes law. What are we to make of this proposal? Is this a viable alternative to the status quo, or merely a pipe dream? Does a random group of people better represent our interests than elected legislators? Wrapped into the idea of a citizen redistricting commission are political riddles that have their origins long before our time. Before we can answer these questions, we must examine two facets of representative democracy in America that deserve our attention. At a time when many Americans are dissatisfied with our country’s political institutions, the VNP proposal embraces that distrust. We’ve all heard it. Rhetoric that targets the country’s elite—see: the so-called “Washington insiders,” “establishment hacks,” and “Deep State”—is to be found on both the left and the right, and has resulted in remarkable electoral success. Without a doubt, VNP rides this wave. Throughout its messaging, the group uses the term “politician” as pejorative. The prohibition on elected officials and their families from serving as commissioners draws a strict divide between “the people of Michigan” and state lawmakers. VNP’s website repeatedly hammers home a single message: your representatives have failed you. But in another sense, the proposal in Michigan reflects not just trust, but radical trust—in one’s fellow citizens. In the United States, it is rare to see an experiment that gives common people—selected almost entirely by chance—such power to deliberate and make substantive decisions. The idea of a citizen commission, though limited to a handful of people, provides a model of democracy alien to the political culture of today. We have been content to accept the notion that the most important political decisions will be made for us. By apathy or mere convenience, we have circumscribed civic life to casting our ballots every two or four years and the occasional jury duty. “I Voted” stickers displayed in clear view, we walk away from our local polling place feeling proud to be Americans while, the very next day, our representatives resume control over the ship of state. Our duty is done. Life goes on. The citizen commission tests this assumption. It reframes the possibilities of citizenship as participatory rather than passive—a politics in which we are not merely ruled but rule ourselves. To be sure, it demands more of us. But it gives us a real hand in the governance of our communities and invests us in the lives of our neighbours. Perhaps most importantly, it stands as a safeguard against the potential abuses of our representative democracy. VNP recognizes this, and rejects the notion that “expertise” or “political experience” is a prerequisite to fair redistricting; it may even be the greatest hindrance. In this case, the citizen’s wisdom comes precisely from her lack of commitments to which every politician is beholden. Party loyalty and the quest for reelection are not the concern of the everyday Michigander. While she may hold a set of political beliefs and prefer, say, the Republican platform, party strong-arming just isn’t possible within the commission’s model of consensus. Even the most partisan members must work together. The majority of the voters have been caught up in a legislative strait jacket… This is because the legislative policy has riveted the present seats in the Assembly to their respective constituencies, and by the votes of their incumbents a reapportionment of any kind is prevented. The people have been rebuffed at the hands of the Assembly… We therefore must conclude that the people of Tennessee are stymied and without judicial intervention will be saddled with the present discrimination in the affairs of their state government. Then and today, the only way to fix such a problem is through extra-legislative means. For the voters of Tennessee, it required the nation’s highest court to make a controversial dive into what Justice Felix Frankfurter called “the political thicket.” For the voters of Michigan, relief may come only through a constitutional amendment approved by popular referendum. One part of the debate is certain: when state legislators repeatedly use redistricting power to game the electoral system, appeals to their expertise ring hollow. One fascinating aspect of the VNP proposal—and the redistricting conundrum generally—is its reliance on the idea of a “community of interest.” It defines them as “populations that share cultural or historical characteristics, or economic interests.” Commissioners must answer this: what constitutes a group worth reflecting in the state or national legislature? This is it; this is the question of representation. To solve the problem of gerrymandering, then, is to answer the question of what community means in America. Needless to say, this question is immensely complicated. The term is expansive and vague, with few obvious routes to identifying which interests are worth representing.5 Because of this, the community of interest approach to reapportionment—although it may be the most just— often stands in opposition to other, more easily quantifiable models of what constitutes a fair district. For instance, there are plenty of cases in which a community of interest may come into direct conflict with drawing districts that are competitive (a basic defense against partisan “packing”). Take the case of a school district, potentially a valid community of interest, that may overwhelmingly support one political party. Or suppose we determine, as some have, that a district with a more compact shape is more reasonable than those of bizarre geometry, such as Maryland’s third and Texas’ thirty-fifth (above). This, too, is insufficient. In the case of Illinois’ fourth, a congressional district that resembles a pair of earmuffs, actually connects a pair of Hispanic communities to give them representation in Congress. Weird shapes don’t necessarily mean unfair districts; they can give minority groups a voice. The list goes on. With the recent swing toward using the efficiency gap as the calculus in the gerrymandering debate, the community question has taken a backseat. To be sure, the two approaches serve different ends. While the former aims to strike down entire state maps, the latter is a modest attempt at drawing individual districts fairly. Nonetheless, it is clear that the efficiency gap misses something. The metric only identifies a discrepancy between statewide vote totals and which party wins the seats. Nowhere in this analysis is there a recognition that the purpose of representation in a state house is to give local interests a voice in the legislature. It is true that the efficiency gap aims only to rule out the most extreme maps (Stephanopoulos and McGhee allow an eight percent gap before a state map is considered unfair). But if groups like Michigan’s citizen commission are to reform the system from the ground up, we must remember that proper representation is not merely a reflection of the majority’s will. This begins with defining community, a job that may require sociologists and ethnographers as much as it requires political scientists. Perhaps it is unfair to view this proposal or any of its like as a catch-all solution. Instead, it may be wise to treat the citizen commission not as an answer to the redistricting puzzle, but as a reform that asks a series of questions. Does this model embrace distrust of our institutions or instill trust in new ones? Are we afraid of a democracy in which ordinary people are forced to make complex decisions? Who do we believe is fit to control our political system? Is this thing worth a shot? Next November, the people of Michigan will decide. 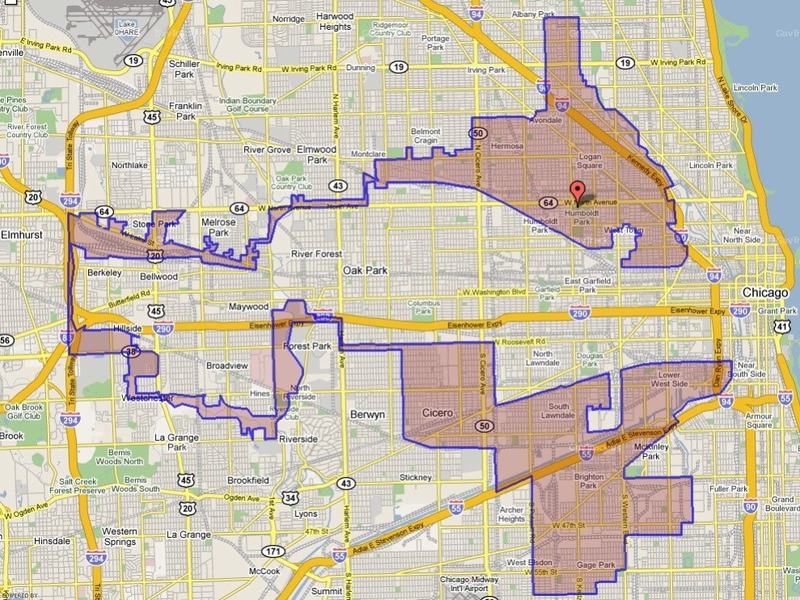 This includes the power to draw state house, state senate, and U.S. congressional district lines. Commissioners receive a salary at least equal to twenty-five percent of the governor’s salary, which currently stands at just under $160,000 according to the State Officers Compensation Commission. If the commission cannot reach this bipartisan majority, it adopts a plan through a form of ranked-choice voting. There are attempts out there to develop a methodology for drawing districts based on the community of interest model. Such attempts are not addressed in this article, but those interested should read this paper from Professor Todd Makse of Florida International University.